I’ve spoken on here about my snowsports holidays to the Alps before, but I’ve never quite gone into any detail about just how crazy and fun they can be. Even though some parts of the holidays are a little foggy in my memory, they were definitely some of the best times of my life so far. 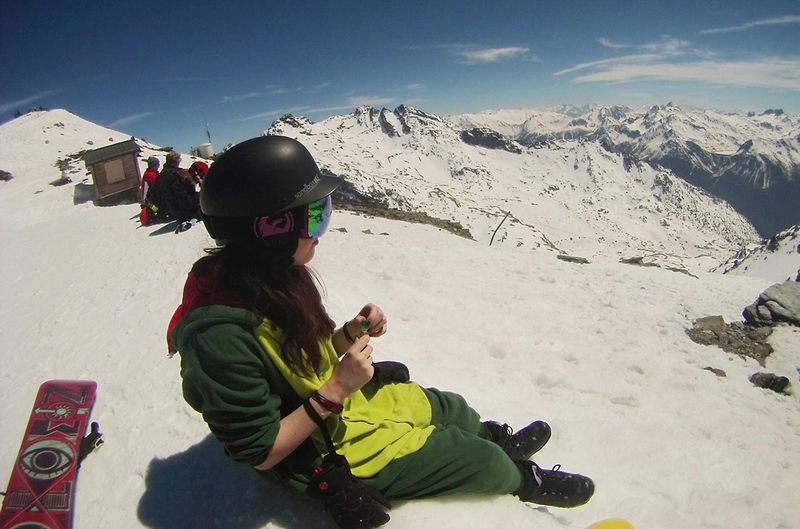 I missed out on the ‘girls on tour’ style holidays to Magaluf or Marbella or wherever people go these days, so when I joined up to my university snowsports club in my final year, I couldn’t book the annual holiday quickly enough. I was promised parties on the mountains, more cheese fondue and wine than I could imagine and plenty of challenging days of pushing my snowboarding ability to the next level on some of Europe’s best pistes. My bestie Ros and I were unbelievably excited, but we probably spent more time planning our après ski outfits than our actual snowboarding outfits… oops. 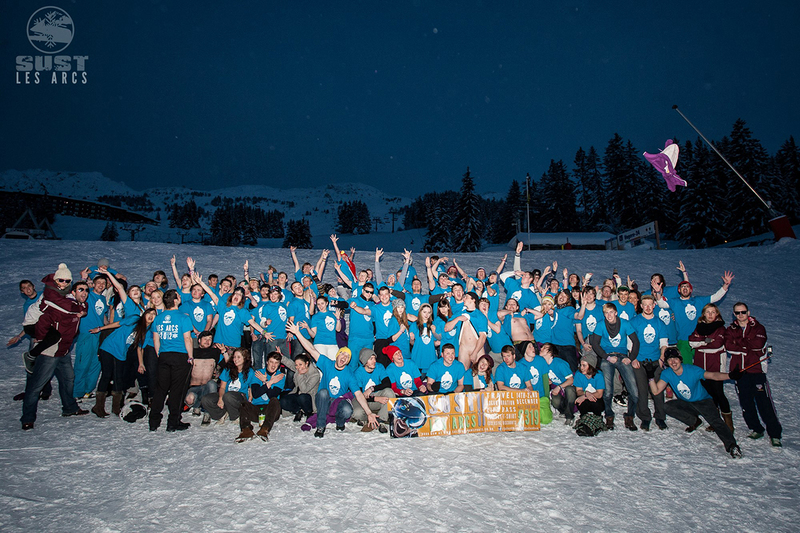 Crystal Ski are currently running a competition to find five #SkiExplorer ambassadors for the 2015/16 season and they’ve split us snowsports addicts into five different characters. The five characters are: Après Animal, Mile Muncher, Gadget Guru, The Unstoppables and Piste Princess. Of course I thought I was the glam Piste Princess; gliding down the slopes with my blowdried hair and luxurious Moncler jacket but once I looked back at my past experiences, there was only one character that had me down to a tee. Starting the party with pre-drinks and the best DIY fancy dress costume (the brighter, the better), carefully mapping out bar and club destinations for the night and being the last (wo)man standing when everyone has gone home to get a good night’s sleep. The Après Animal doesn’t need to spend hours doing their hair, wearing their nicest clothes or splurging all of their money on massages and champagne. They’re just out for a good time with all of their friends. I’m a proud Après Animal and if I wasn’t, I would never have even met my boyfriend Mat. 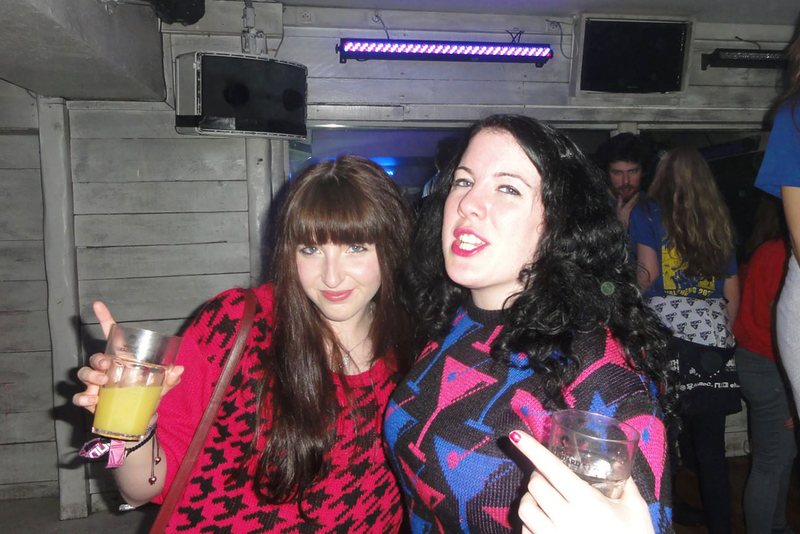 We were both on the same uni ski trip, clicked straight away and carried on being Après Animals together. What a love story! If you’ve booked a ski trip for the coming season and you think you might be an Après Animal too, then I’ve put together my list of absolute essentials for a day in the life of an Après Animal. Before even setting off for a day on the slopes, every Après Animal needs to make sure they bring another Après Animal with them, for maximum mischief and fun. They’re there to help you on your way down from the mountainside bar, without breaking any of your bones in the process. They’re there for the last song in the club, when everyone has crawled back to their beds. And of course they’re always there to hide under the duvet with you the next morning when you can’t face early morning first lifts! In the same way that a Piste Princess wouldn’t leave the chalet without makeup on, an Après Animal would never even think of leaving without a trusty pair of sunglasses. They’re perfect for a few drinks in the sun, before you’ve managed to drag yourself out to the slopes for the afternoon. When you’ve been out all night long, they hide a multitude of sins from the stark white brightness of the snow. Most importantly though, they’re great for wearing to the club later on when your drunk tired eyes are being photographed non-stop by your snap-happy Gadget Guru friends. These will take up A LOT of suitcase space but that’s the sacrifice an Après Animal must make. You’ll find your biggest pre-holiday decision will be “Should I wear a Pikachu onesie or a dinosaur onesie?” choose both, you’re a grown up now, no one can stop you! It’s the perfect way to spend your afternoon on the slopes; comfy but a little bit crazy! You’ll look a bit weird to everyone else but there’s truly nothing more fun than snowboarding down a mountain with your dinosaur tail blowing in the wind. After a day on the slopes, keep it on and hit the club. It’s the Alps, anything goes. 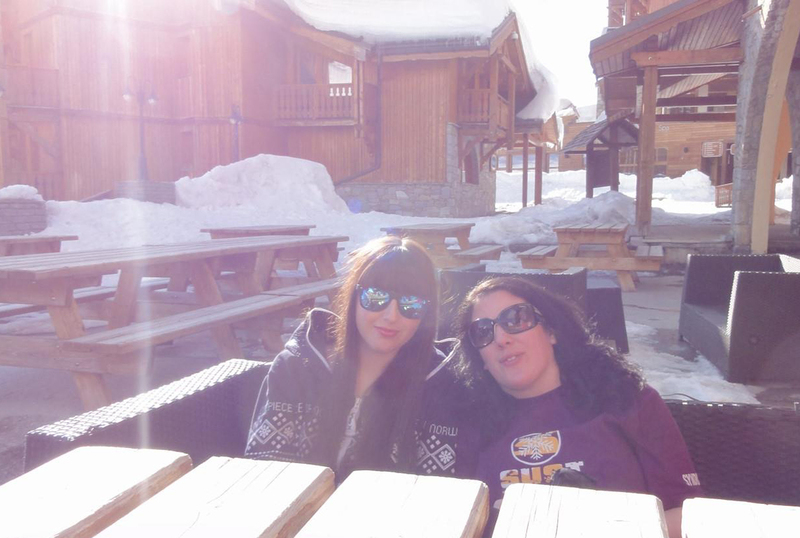 After an afternoon on the slopes/relaxing at the mountainside bar, it’s time to go out out! If no one has organised at least two fancy dress themes for the holiday, then you really must take charge on this one. 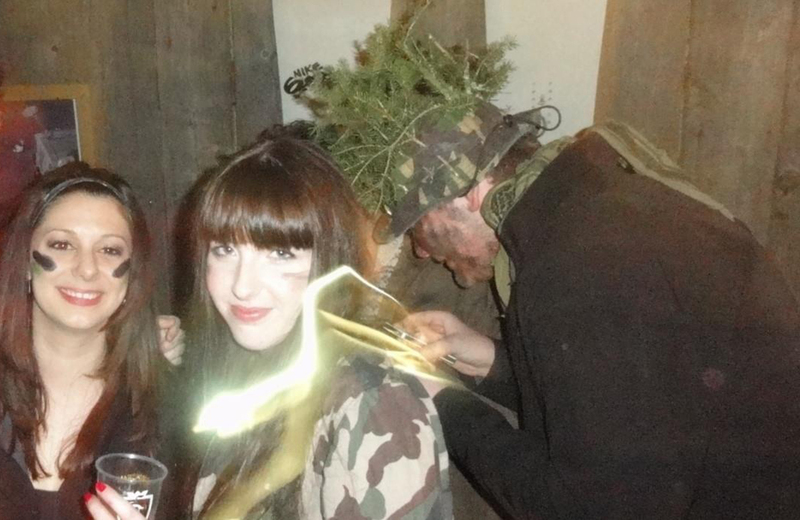 My favourites are ‘army’, ‘80s ski gear’ and ‘ugly jumpers’. Dodgy fancy dress costumes are basically the greatest conversation starter for making new friends. Put minimal effort into this one. An Après Animal is resourceful and knows where to find the room of the most organised person on the holiday. Raid their face paint and accessories before you head out to the clubs and bars! Later on in the night, when you’ve danced a little bit too much, make sure you’ve packed a few Sharpies into your bag. There’s nothing that bonds you to a new group of friends more than offering to draw them a new tattoo. If they’re a bit unappreciative of your offer to draw a life-like octopus on their arm and ask for something a little more lowkey, this is the time to write ‘[UNI NAME] RULES’ or something equally childish. What kind of #SkiExplorer would you be? 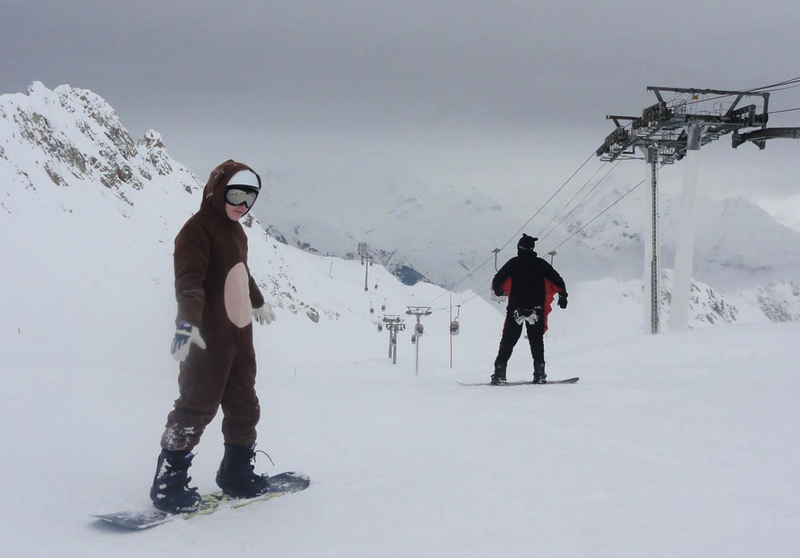 This is my entry into the Crystal Ski Holidays Ambassador Competition.